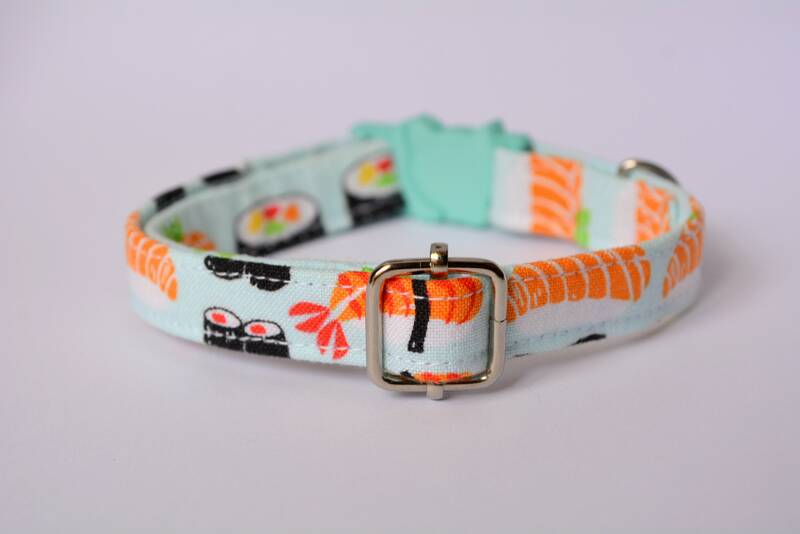 Designed from strong, yet lightweight and soft cotton fabric with a safety buckle i.e. 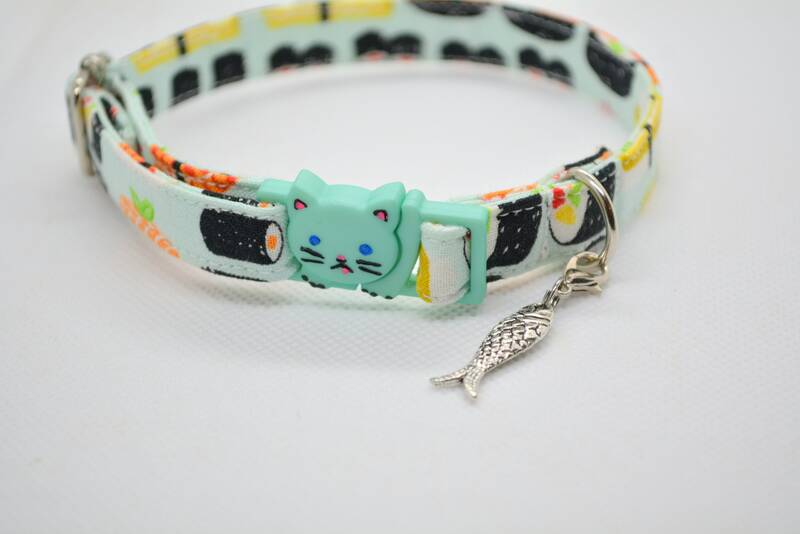 if your cat collar will get caught in a tree branch the buckle will give way and will easily open allowing your cat to escape safely, thus the name 'safety/breakaway'. 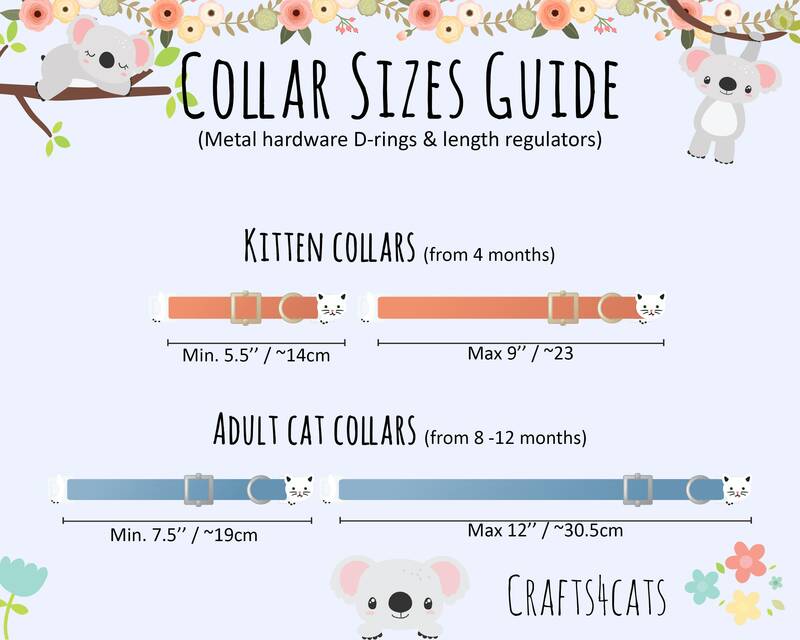 💜 A collar with your choice of buckle. 💜 Metal hardware such as length regulator with a D-ring. 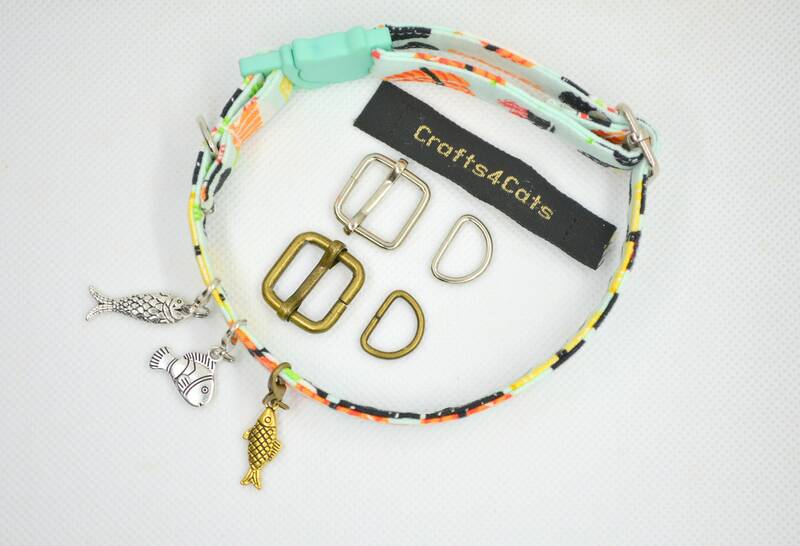 These are available in 3 colours: silver/brass/golden. Please specify in 'notes to seller'. 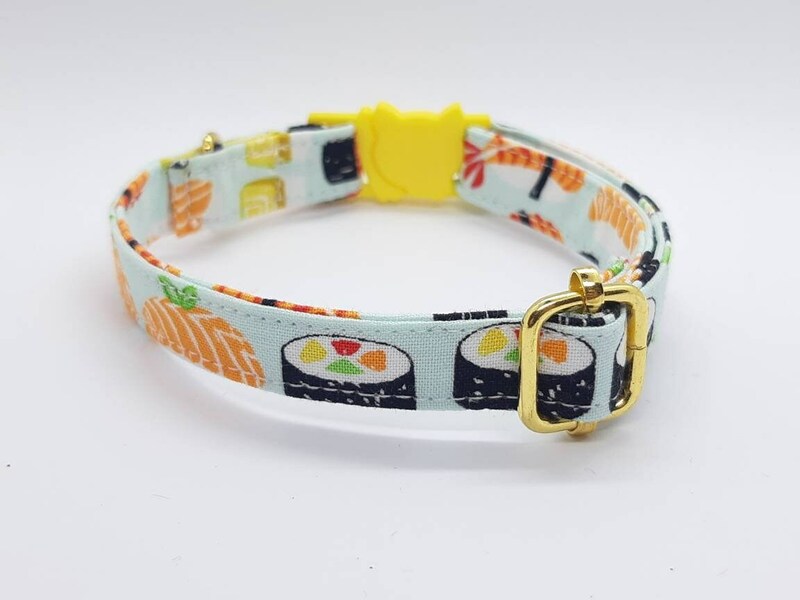 Please note, however, that a bell is not automatically included with this collar. Should you like to have one, please let me know in 'notes to seller'. 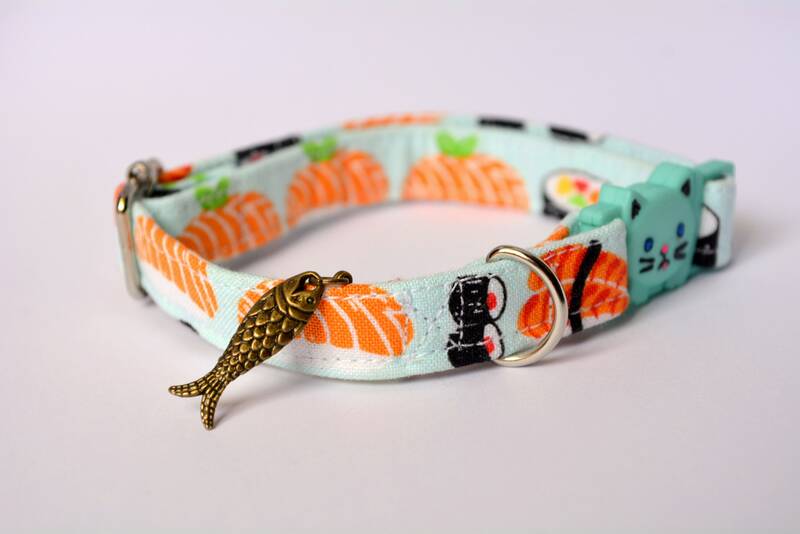 My collar came on time, was beautifully made, and even came with a bell! 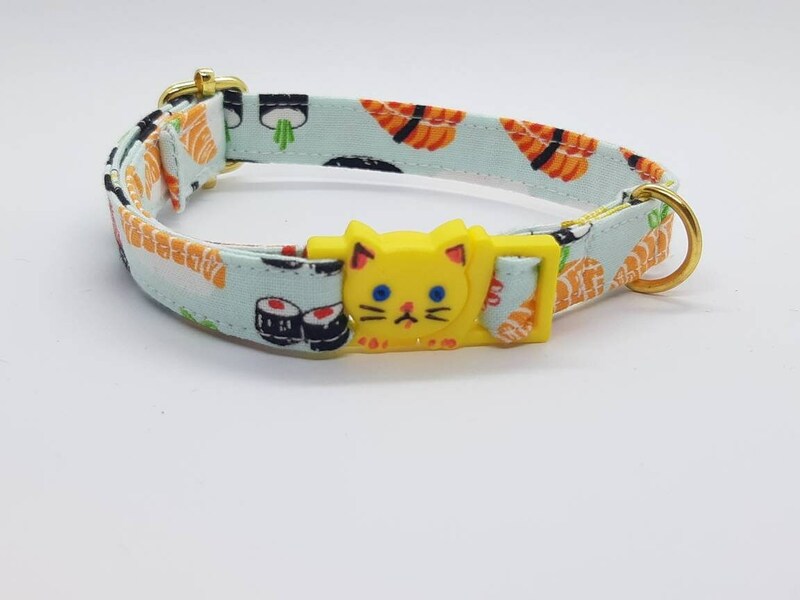 Fast shipping, product arrived exactly like seen in picture. Love it! 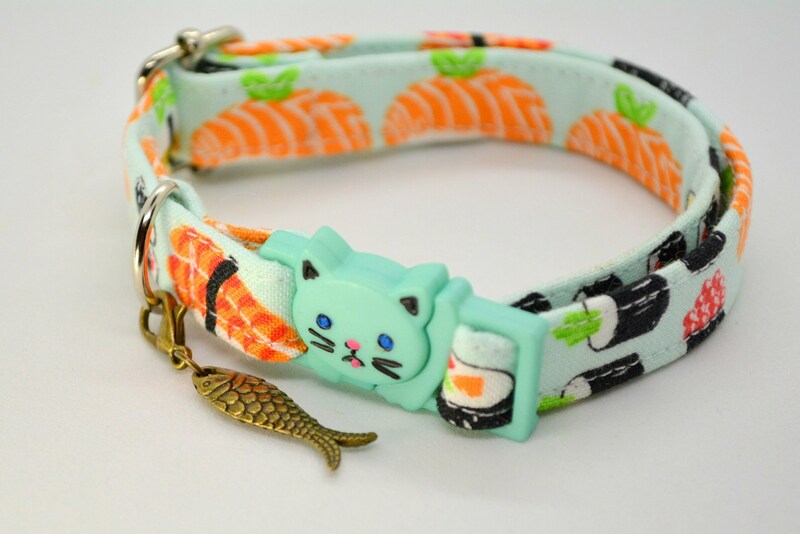 The collar is well made and the charm has a little bling and sparkle!